Noctua's new 92mm fans have been updated to feature their innovative technology. The NF-A9 FLX is their best performing standard 3-pin fan that is supplied with two low noise resistors. The NF-A9 is a highly optimised, premium quality quiet 92mm fan. 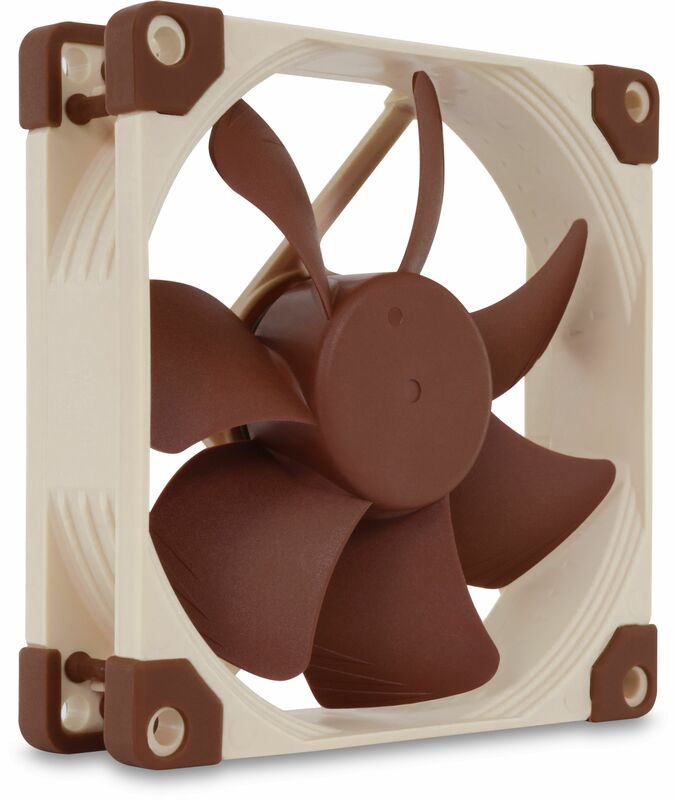 Featuring Noctua's AAO (Advanced Acoustic Optimisation) frame as well as sophisticated aerodynamic design measures such as Flow Acceleration Channels, the NF-A9 further improves the renowned quiet cooling performance of the award-winning NF-B9. 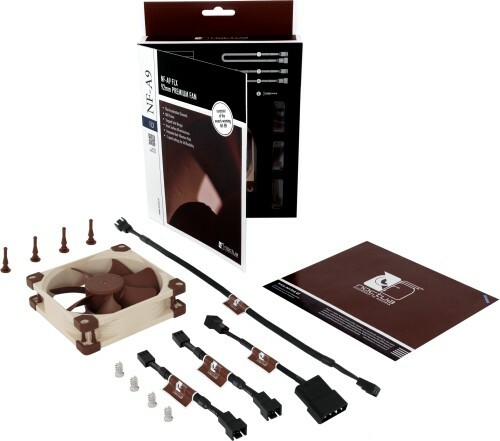 The FLX version provides 1600/1250/1050rpm speed settings via the supplied Low-Noise Adaptors in order to provide full flexibility in fine-tuning the fan for maximum ventilation performance or near-silent operation. Its superb running smoothness, reference-class SSO2 bearing and Noctua's trusted premium quality make it an elite choice for the highest demands. My 2010 Alienware Aurora R1 was beginning to sound like a Hoover. Replaced all fans with Noctua units using this one in the PSU. BIG difference! Wouldn't know it was switched on now. I bought this fan to replace my system fan along with a new CPU fan, after the initial upgrade I found both worked perfectly well, the system fan was working in conjunction with the CPU PWM fan, as the CPU fan speeds up so too does the system fan, even though the system fan isn't PWM, I cannot fault this fan or the other, excellent product's providing whisper quiet operation, I will never use any other, they are not a marketing gimmick, they really are that good.